but in the end, it is always about the optimization of user experience or to be more precise – the users’ searching experience. 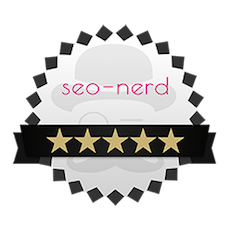 The nerd, therefore, doesn’t consider SEO to be only the classic “SearchEngineOptimization”, but means with his SEO 3.0 to have a “Search Experience Optimization”, or short SXO. An interceptive call. The war is not over yet, but among SEOs it’s been already decided: Google has not only won countless battles in the past years, but has also won the fight for the “throne” of the higher-ranking spots. This means: Who wants to be on top in the SERPs has to play according to Google’s rules. 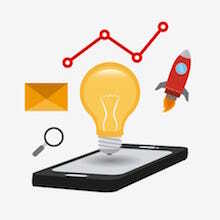 In Google’s infancy, it was comparably easy to outsmart the algorithm of the search engine with tricks like link building or keyword stuffing. Already in 2007, though, (Google was only 10 years old then) with the introduction of the “universal search” the foundation for the strategy was set that the company from Mountain is going for still today. Up until that point in time, a Google request only lead to links of other websites. With the universal search, all kinds of information found on the internet is drawn together and integrated into the search results now – websites, news, blogs, pictures, cards, videos, etc. Google used a trick with PageRank that became a standard for scientific work. The PageRank more or less randomly determines whether a site is actually relevant to a given answer. In order to decide this effectively the context of a (search) request has to be put in relation to its result (on a site). After all, it is a huge difference if someone is only looking for „baby body“ or if they also input „birth“. In the first case, a piece of baby clothing is sought after, whereas in the second more likely information about an after-birth workout course or plastic surgery is sought. To recognize those differences Google has developed over 200 criteria. 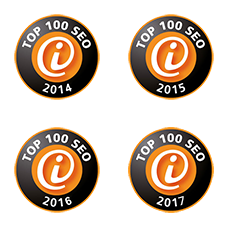 With countless updates, the Berliner Zoo with Panda, Penguin, or Hummingbird, the search engine giant continuously optimizes these criteria further. Almost all of these cute Google animals target to give preferably relevant answers to search requests. Just as a reminder: in the early years Google was happy to deliver answers that were appreciated by the site providers. For SEO this knowledge that Google mainly cares about the relevance of search results is anything else but trivial. It doesn’t only mean a conversion from a traditionally machine- like point of view (cue: collection of backlinks), but almost an aversion from it. Thus, the user moves into the centre of every ranking optimization. For this reason, the E in SEO should soon enough not stand for Engine anymore but be replaced with Experience, the users make with their queries. Hence SEO becomes SXO. 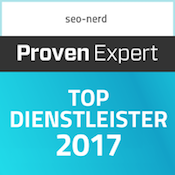 SEO, understood as “machine optimization” and using technical means, made do with leading Google to believing a site had a ticket – so to speak – that allowed entry into the club of SERP leaders. 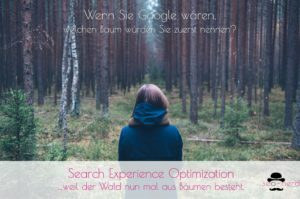 SEO as SXO, as experience optimization, on the other hand will do everything to convince user as well as search engine of the quality of the optimized site and consequently to make the search experience as satisfying as possible. Usually, this would mean that a preferably short search time is followed by a fast one and the topic of a text can be determined on grounds of the word that’s most frequented in the text, alone. With the Hummingbird update Google has advanced this common text experience by the dimension of word fields. Word fields are word groups that often appear together. The word “bakery”, for instance, opens up a word field in which we expect words like “coffee, bread, cake, salesperson, bag, etc.”, however not “alloys, motor, oil” – these words we’d rather expect in the word field of the topic “car”. Because of that, a simple, mostly senseless list of keywords is not sufficient anymore. The keyword must be integrated into a sensible context. That, again, doesn’t mean anything else, though, then that texts cannot be only written for the bots of Google, but have to be written in a way that wins over users. The bottom line is that Google forces site owners to put an effort into a better quality of their sites. Users who plan to buy a product often have a lot of questions regarding it, after all. Online traders that give their experiences with the products to their customers increase the quality of their site and gain an advantage in competition compared to others that bank on lists and specifications as delivered by the manufacturers in their product descriptions. A good product text will never be like a personal chat in a store, but in contrast can be more informative and even credible as a result of it. Loading times have developed into one of the most important SEO factors overall. That is logical from the user experience’s point of view. A site that only loads slowly and possibly even flaunts with pictures, audios and videos that weren’t „ordered“ by the user will be given no chance by the users and therefore not by Google either. Naturally, experience-friendly sites also stand out long since through excellent performances on any device, no matter if desktop or smartphone. Responsive design is sure to be the best method of choice. The surfing speed of users is not only dependant on loading times on their own. A good internal linking, a well-structured and – at the same time – appealing design of product categorization, that preferably even offers an “wow” effect is as essential for a good conversion rate as a sustainable success in Google SERPs. Not only since the Phantom II update, too much “bling bling” damages the ranking success. Therefore, it’s worth it to sacrifice one or more banners for the sake of lucidity. Despite all love for the user Google should, however, easily and quickly recognise what your site is about. Using keywords in meta-titles, meta descriptions and image-alt texts are hence not to be neglected. Not all means that were of use for search engine optimization have to be scrapped for SXO. It is not enough to rely on those alone anymore, albeit. In online marketing, SEO (besides SEA) has become a pillar for inbound marketing strategies now. 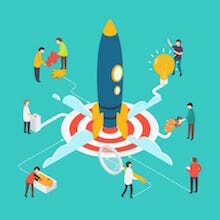 Soon this role will intensify and SEO will establish as a medium- and long- term strategy, that helps user find sites that are really interesting – and even then, when users themselves don’t know yet that it could interest them. Or differently put: SEO understood as SXO won’t have to enthuse only search engines but especially humans soon.